The Allan Gray Scholarship aims to increase the number of Fellowship applications from high school learners by identifying entrepreneurial talent and financial need at primary school level. Learners who qualify as Scholars receive placement at a partner high school, financial support and access to the Foundation’s entrepreneurial and personal development programme. 2014 saw the placement of 30 new Scholars at our partner high schools: Collegiate (2), Clarendon (2), Grey (2), and Selbourne (2) in the Eastern Cape; King Edward (2), Pretoria Boys (1), St Alban’s (3), St Andrew’s (1) and St Mary’s(2) in Gauteng; Epworth (3) and Pietermaritzburg Girls (3) in KwaZulu-Natal; and Bishops (3), St Cyprian’s (3) and RustenburgGirls (2) in the Western Cape. These Scholars were invited, along with their parents and guardians, to attend orientation events held in the Western Cape, Gauteng and KwaZulu-Natal. At these events the Scholars and their custodians were acknowledged and celebrated for their efforts leading up to the awarding of the Scholarship. These events also served as information sessions for the parents and guardians to learn how they could provide support to the Scholars to ease their transition into a new high school environment. They were informed about the available support structures and the various opportunities at the individual schools as well as being given the opportunity to voice any concerns or ask questions. “I have the great privilege and very rewarding experience of working with young leaders and observing their transformation. They display phenomenal growth and development from the time they are enrolled as Scholars right up to the time that they Matriculate,” says Scholarship Manager, Molefe Mohlamonyane. This and feedback from various stakeholders about their performance in academics, leadership and entrepreneurial thinking confirms the impact of the Foundation’s Scholarship Programme is making to Southern Africa’s next generation of responsible entrepreneurs. Molefe says that the Allan Gray Scholarship is indeed a life-changing opportunity. 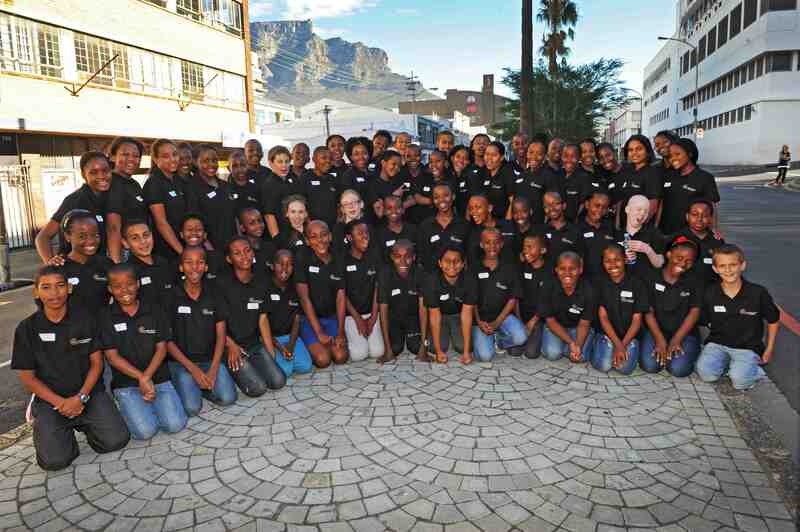 Molefe’s hope for the 2014 Scholars is that they will see the potential in themselves that we have seen in them. The mere fact that they are now attending schools that they would otherwise not have had access to should already let them know that they are bright sparks. It is the Foundation’s hope that the Scholars have a smooth transition into the high school environment and its Development Programme is specially designed to assist in this. Scholars are trained to become more aware of themselves and their contexts, which help them to deal with any challenges they may face during this transition phase in their lives. Molefe says that he is confident that each of these 30 Scholars will make a significant impact on their immediate environments and that they will flourish in their high school careers and their journey towards greatness. Welcome onboard to the future Matric Class of 2018.